Microsoft has announced at its Build developer conference today iTunes will make its way into the Windows Store, by the end of 2017, reports TechCrunch. 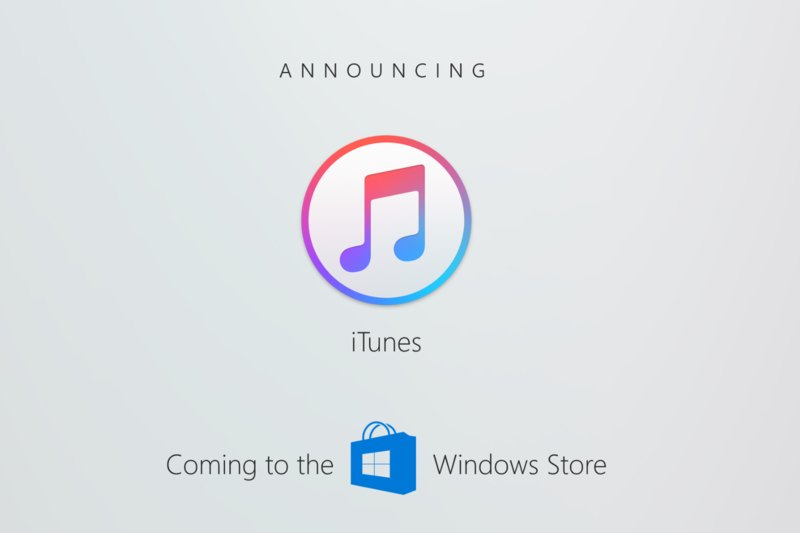 The iTunes app for Windows Store will support iPhone, plus offer the same features as the Window app version of iTunes. This is good news because Windows 10 S only runs apps from the Window Store, unless a user pays for an upgrade to Windows 10 Pro ($49 USD), or lose iPhone syncing abilities to their Surface Laptop, which of course would make buyers’ think twice about purchasing the latter. TechCrunch believes Apple will rewrite major parts of iTunes to better support Windows 10 and hopefully adopt Microsoft’s new Fluent Design system. Microsoft did not share details of the Apple arrangement and no previews were given either. But for iPhone owners thinking of the Surface Laptop, and still like to sync their devices, they can rest assured Windows 10 S will support their smartphone. iTunes 12.6 for PC currently requires Windows 7 or later and 400MB of disk space.